He only played six minutes, but Dirk Nowitzki finally debuted in the NBA 2018-19 Regular Season. He was recovering from ankle surgery the past months, but Dirk Nowitzki returned on Thursday. 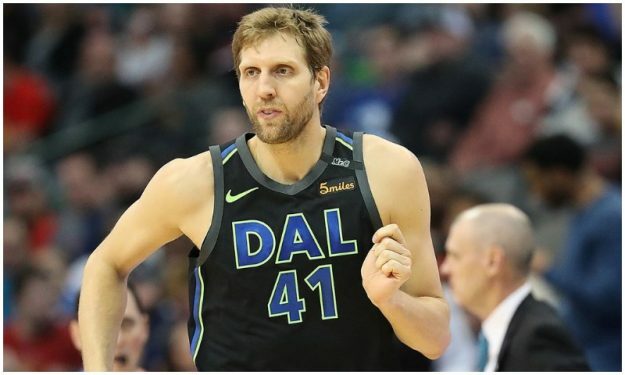 His reappearance where he truly belongs, on the court, marked his 21st season with the Dallas Mavericks, most by a player with one team in NBA history. The 40-year-old only played six minutes off the bench and his team lost to the Phoenix Suns, but he had a vintage moment with a step-back jumper off the board. He enjoyed his only bucket of his 2018-19 debut, the Mavericks’ owner, Mark Cuban, even more.